Bruce Springsteen plays three more concerts at Giants Stadium in the fall. Months before Bruce Springsteen's final three shows at Giants Stadium, New Jersey Attorney General Anne Milgram appears to be planning quite an opening act. 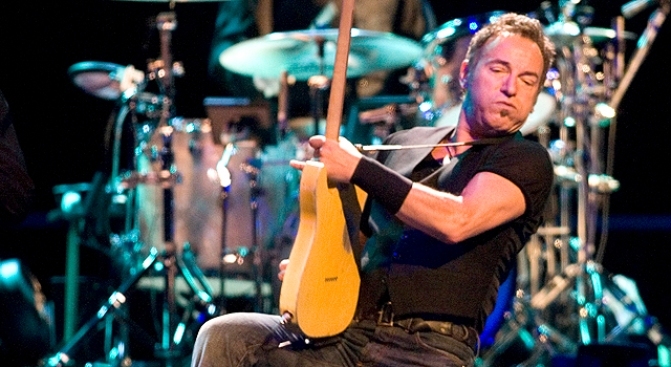 Milgram has filed suit against three companies for trying to sell Springsteen tickets that don't yet exist. Tickets for the three shows --Sept. 30, Oct. 2 and Oct. 3 -- don't go on sale until Monday, but Milgram claims that Orbitz Worldwide, Ticketnetwork and Select-A-Ticket already are advertising tickets online. "Selling tickets for any event before they are put on sale is an outrageous practice," Milgram said in a statement. "Our investigation into the ticket industry is ongoing, and this practice of posting tickets for sale before tickets go on sale to the general public is part of that investigation." The Division of Consumer Affairs says undercover investigators purchased tickets "even though the companies did not possess the tickets, could not provide them at the time of sale, and were not available for purchase until June 1." 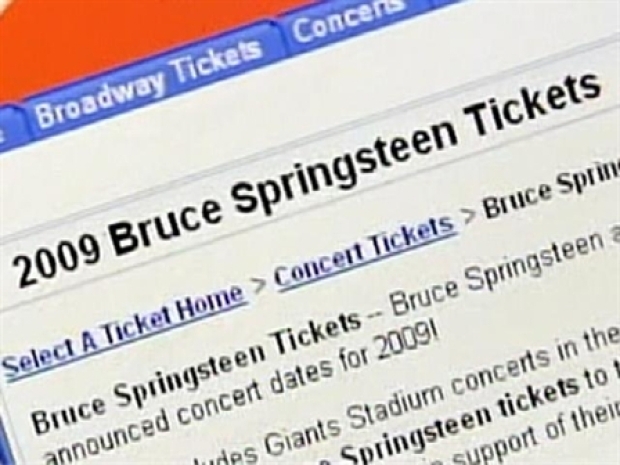 There's no such thing as Section 130, Row 45 at Giants Stadium, but that's exactly where a ticket broker now facing a lawsuit was trying to sell seats for the Bruce Springsteen concert. One fan, Pete Maimone, of North Brunswick, told NJ.com that "This is a big scam. The brokers are promised tickets beforehand. How is it that when shows sell out in five minutes, within the hour the ticket brokers are posting all their tickets?" The online brokers are selling seats at steep mark-ups based on pure speculation and a broken regulatory system that allows them to operate the scam with impunity. John Samerjan, a spokesman for the Sports Authority, said these Web sites have what he calls "fantasy tickets." The Web sites won't have tickets until after the sale starts on Ticketmaster on Monday. In February, Milgram's office insisted that Ticketmaster and its subsidiary, TicketsNow.com, stop the practice when they signed an agreement after complaints over the sale of Springsteen tickets at Izod Center. But the agreement did not extend to other brokers or resale sites. Springsteen's concerts are being billed as the final concerts before the football stadium is torn to rubble. Tickets for the shows will range from $33 to $98.